The Empire Doesn’t Care About Your Stick Figure Family!!! You’ve made it to The Empire Doesn’t Care Star Wars Car Vinyl Stickers! 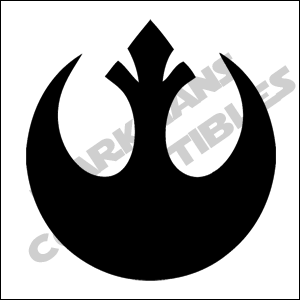 Here you can order your Star Wars Inspired Vinyl Decal Stickers, or The Empire Doesn’t Care vinyl stickers. Any sticker can be customized for the text of your choice or if you have an idea for a new sticker you would like made we can do that as well. Just contact us with your idea and we will accommodate you. Our stickers can be applied to just about any smooth surface such as cars, windows, walls, glass, painted surfaces, metal, fiberglass, laptops, and mobile devices such as phones, ipads or tablets. All stickers cut for outside application are made from Oracal 651 outdoor ready vinyl which will last a minimum of 6-7 years. Any sticker can also be made for indoor use for walls with Oracal 631 which can be removed easily without damaging walls or paint.